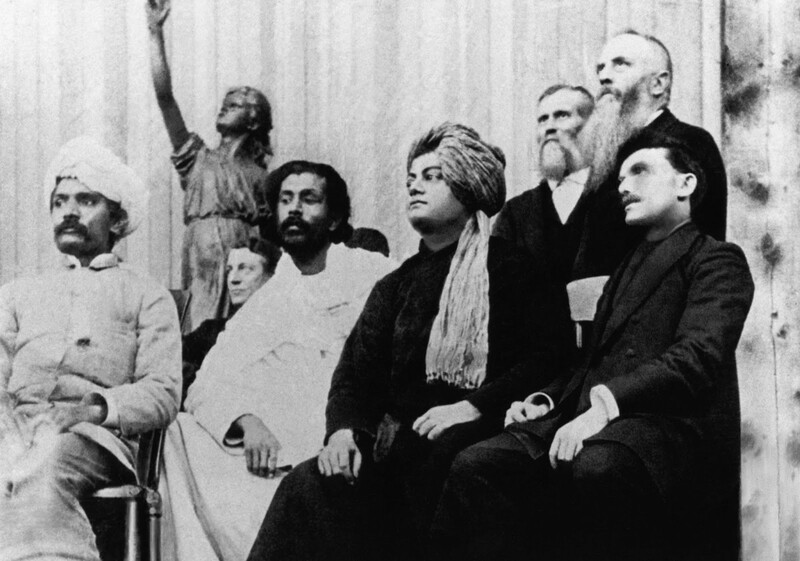 Various messages circulating on YouTube, WhatsApp and other social media sites claim to show the Real Voice of Swami Vivekananda during his Historic Chicago Speech on 11th September 1893. There are in fact quite a number of video and audio recordings claiming to show the same and the real voice of Swami Vivekananda, the Indian monk. The one in question is however not real. It fills my heart with joy unspeakable to rise in response to the warm and cordial welcome which you have given us. I thank you in the name of the most ancient order of monks in the world; I thank you in the name of the mother of religions, and I thank you in the name of millions and millions of Hindu people of all classes and sects. Read more.. In the video above, the ‘real voice of Swami Vivekananda’ sounds very modern, mature and foreign from Indian slang. However, at the time of his historic speech, Vivekananda was just 30 years old. Moreover, Graham Bell invented voice recording system around 1885 and it was pretty new at the time. Furthermore, sound recordings in those early years accumulated noise; nowhere heard in the clear audio. Ramakrishna Mission, the monastic order founded by Swami Vivekananda himself preserves his letters, photographs and other artefacts. According to the Ramakrishna Math, there are no audio or video clips of Swami Vivekananda which are found to be authentic. In fact, their research found no recordings in Chicago in September 1893 as technology did not allow it. They also point Mr. Barrows introduced Swami before his speech, not a woman as found in some of the fake recordings available on internet. Further, Ramakrishna Mission mentioned about some recordings of the Swami Vivekananda’s voice in India and abroad. Swami himself sent some of them to India. They are documented at the Mysore Palace in 1892 and at Ambala in 1897. But unfortunately, they say none of them is traceable today. Therefore, the videos and audios claiming to show the real voice of Swami Vivekananda during his historic Chicago speech in 1893 are fake. Advaita Ashrama is a premier publishing house of the Ramakrishna Order. In commemoration of Swami Vivekananda’s 150th birth anniversary on 12 January 2013, the Ashrama released an audiobook on his Chicago address. In it, Masoodul Huq gave the introduction and Biplab Ganguli delivered Swami’s talks. Likewise, the audios conveying Swami Vivekananda’s thoughts and talks are conveyed by others.